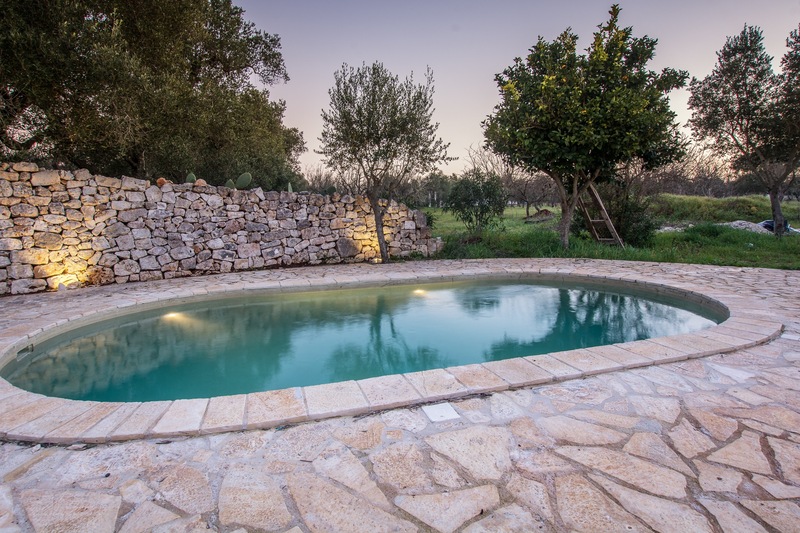 A stay in a modern villa deep in the Salento countryside is already a great way to spend your holiday. 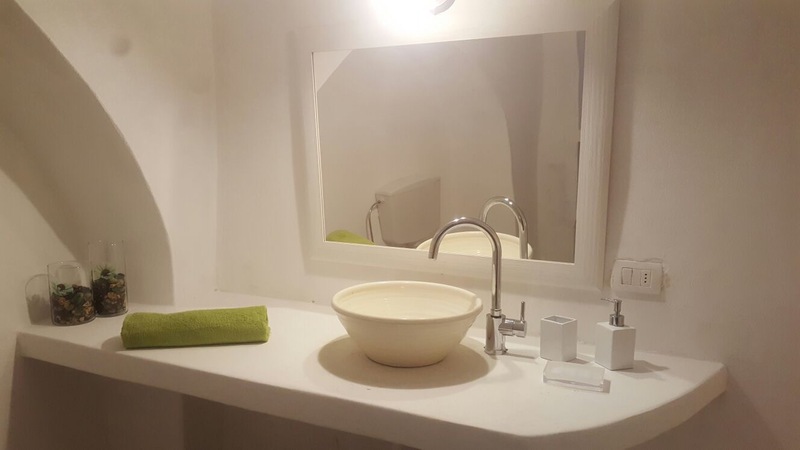 But if what you are after is a genuine multidimensional experience look no further. 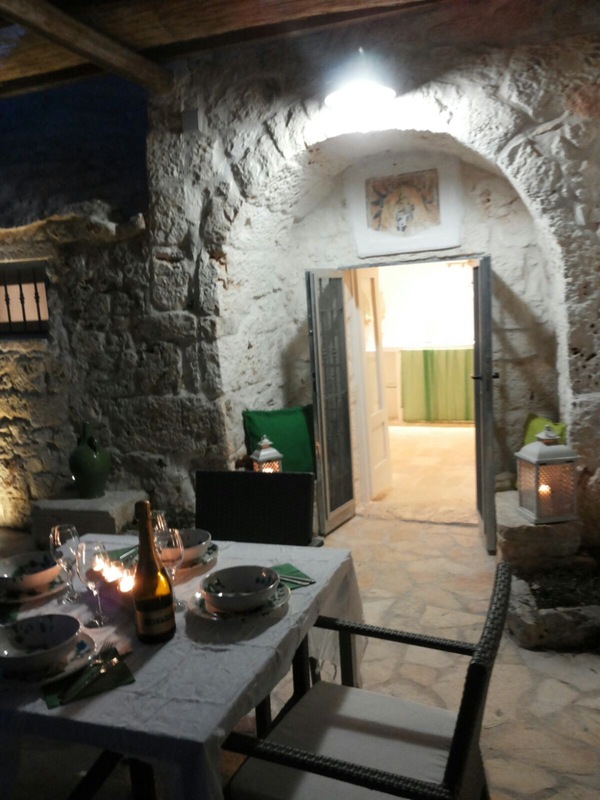 Here you can completely immerse yourself in the local culture and history. 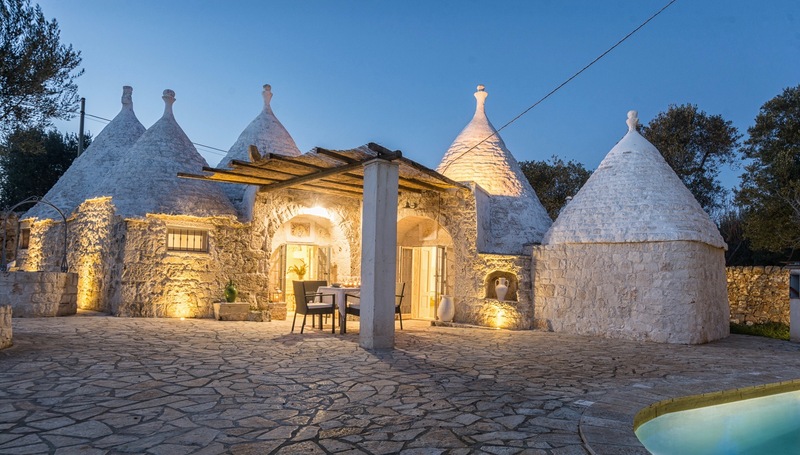 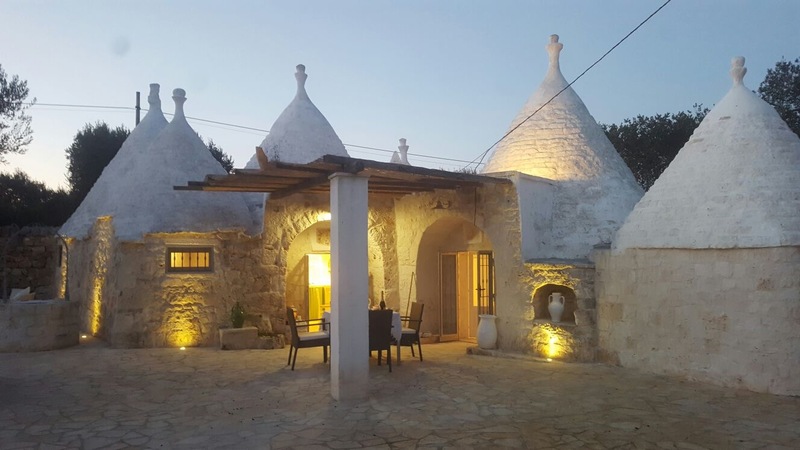 The two hundred year old Trullo della Madonnina brings you back to a period where houses like this, made normally by just a single “cono” with its unique dome on top, acted as a home for a shepherd or a poor farmer. 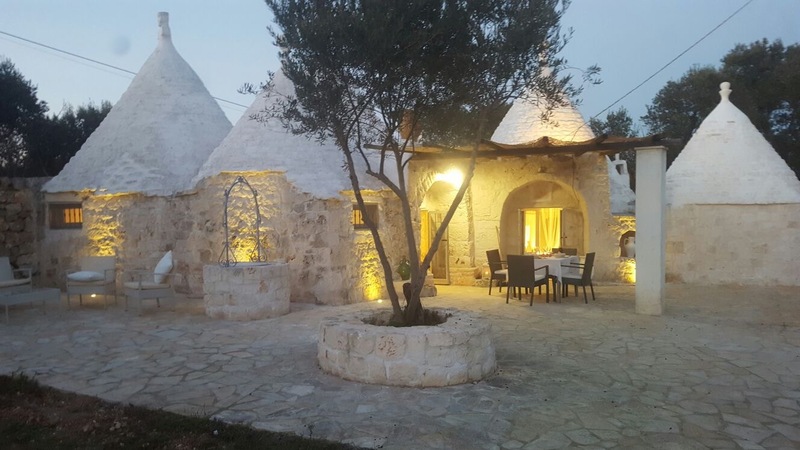 The Trullo della Madonnina has, instead, an incredibly rich structure. 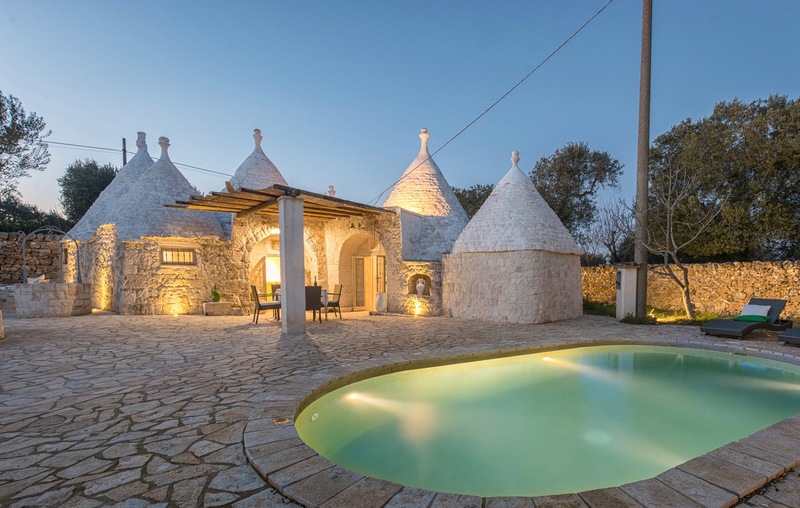 Six domes ( one is been add ) and two main areas. 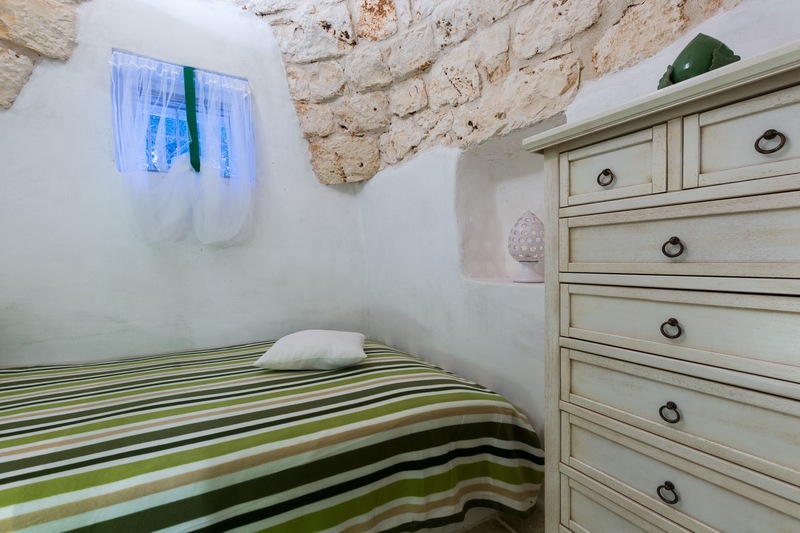 On one side a double bedroom, kitchen, lounge with a sofa bed and bathroom . 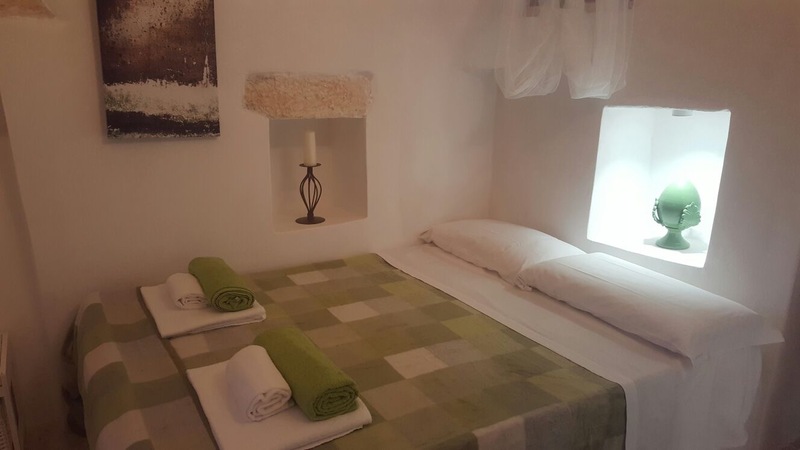 The smaller area presents a double bedroom and a bathroom. 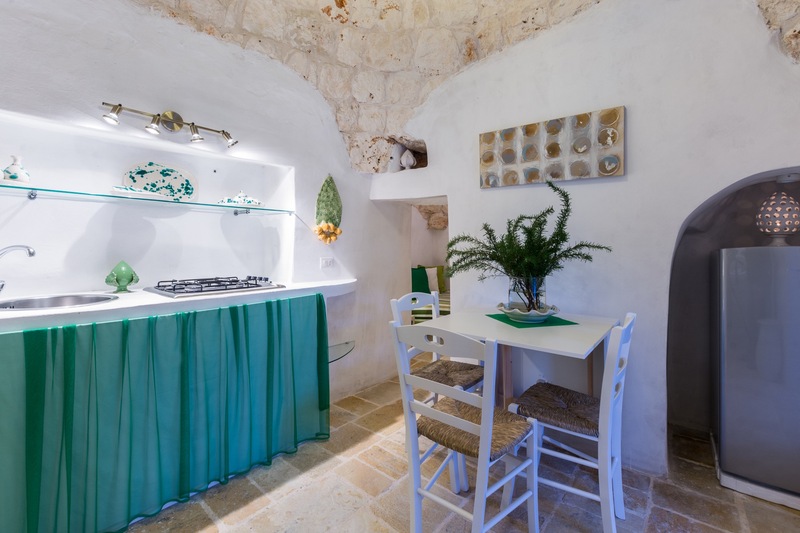 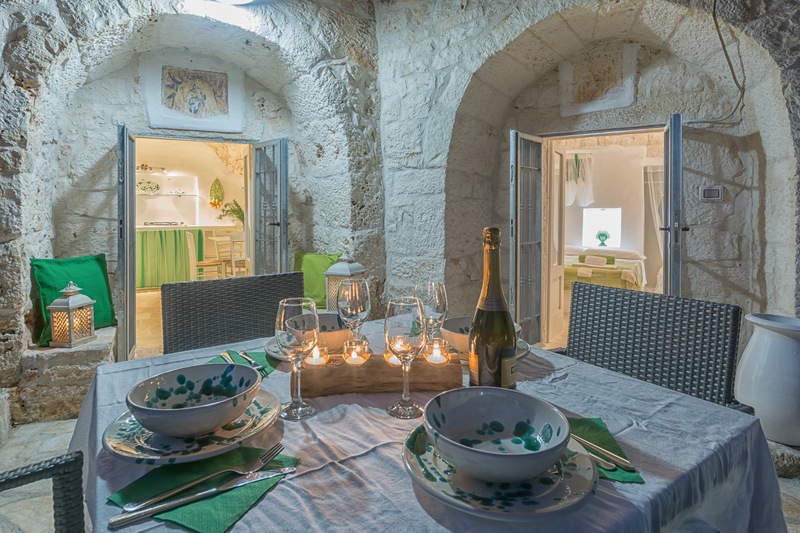 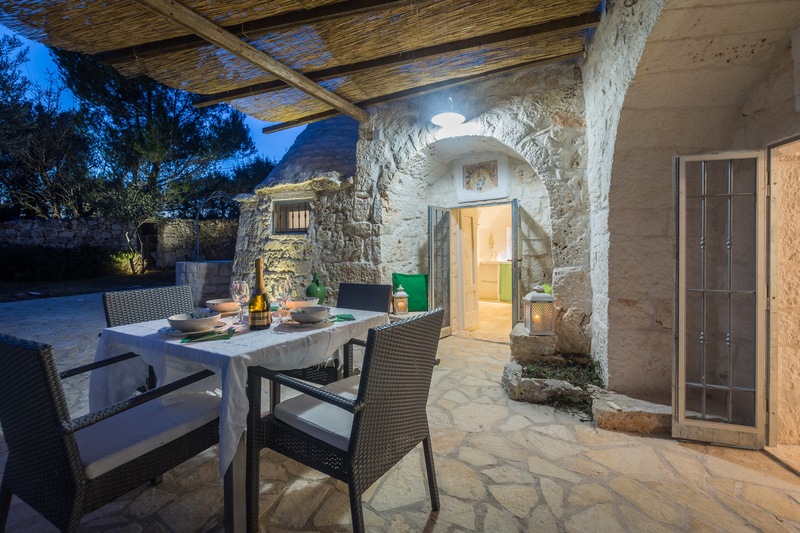 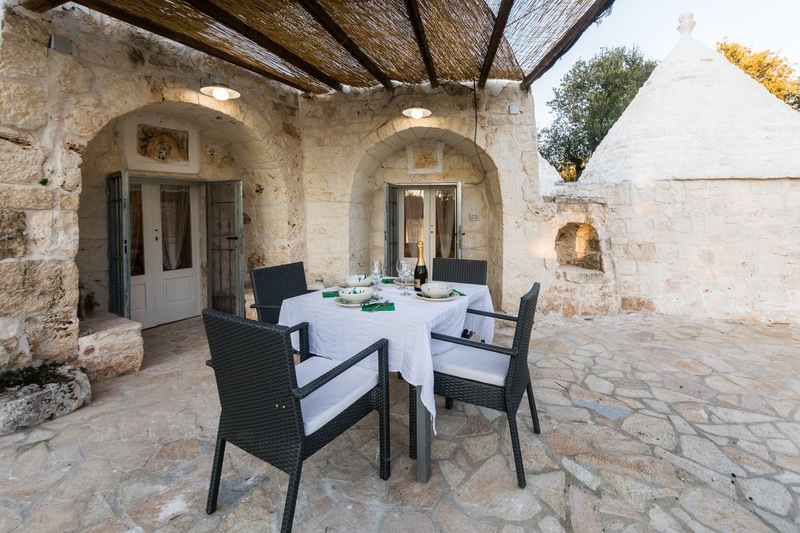 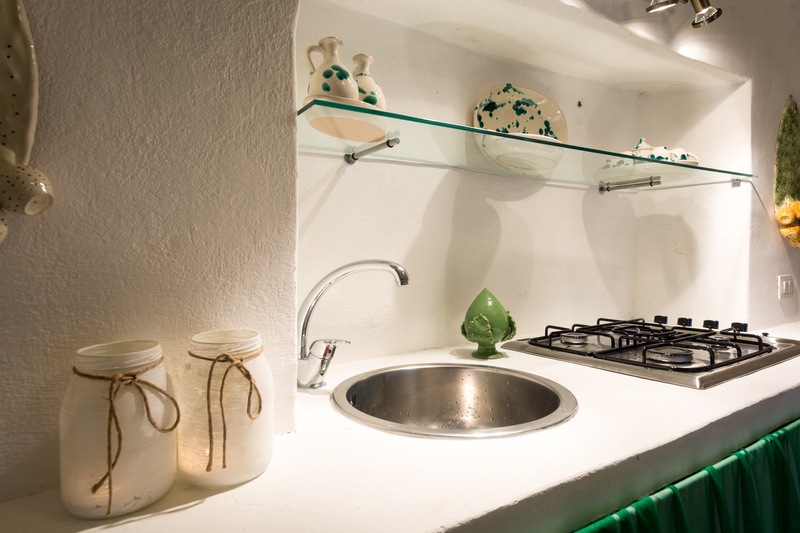 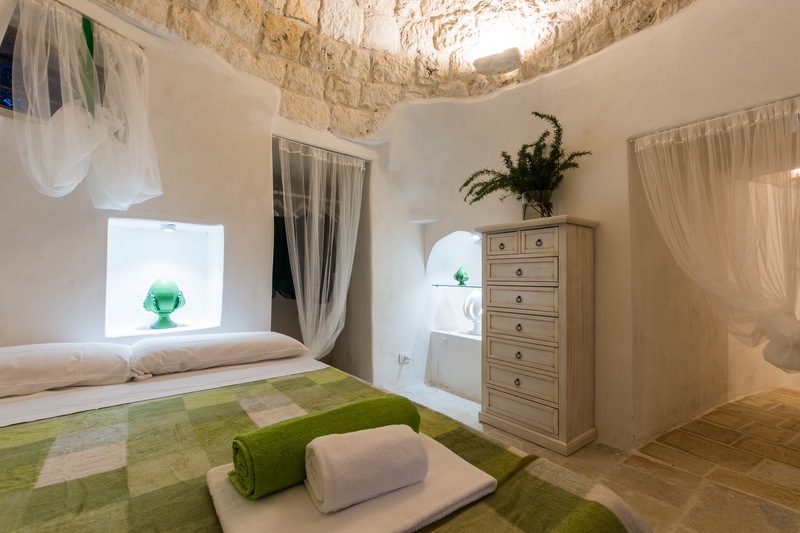 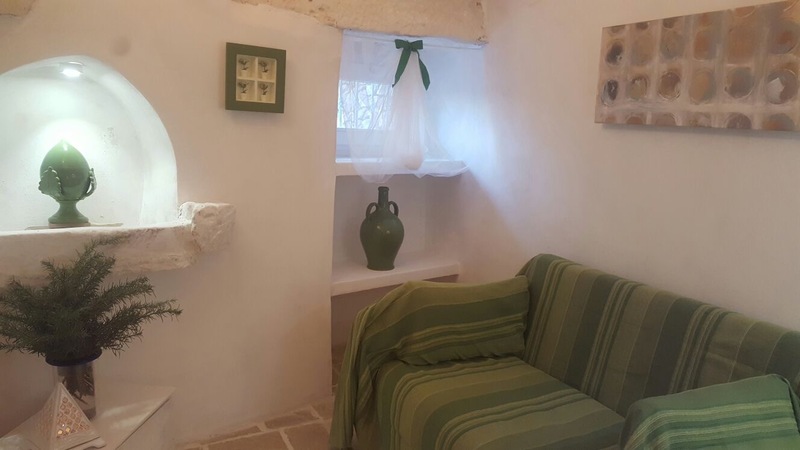 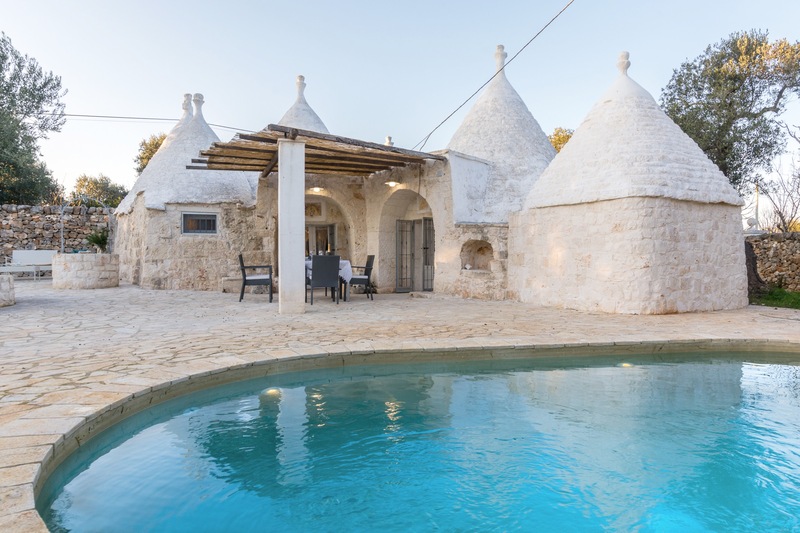 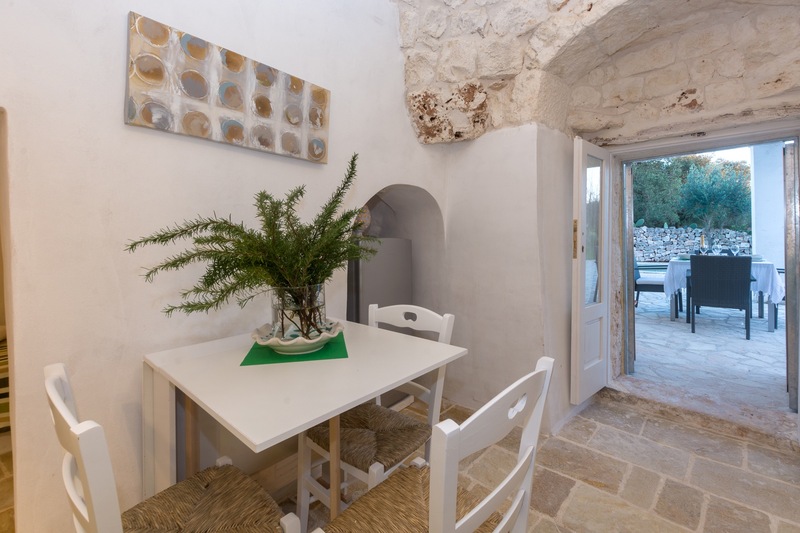 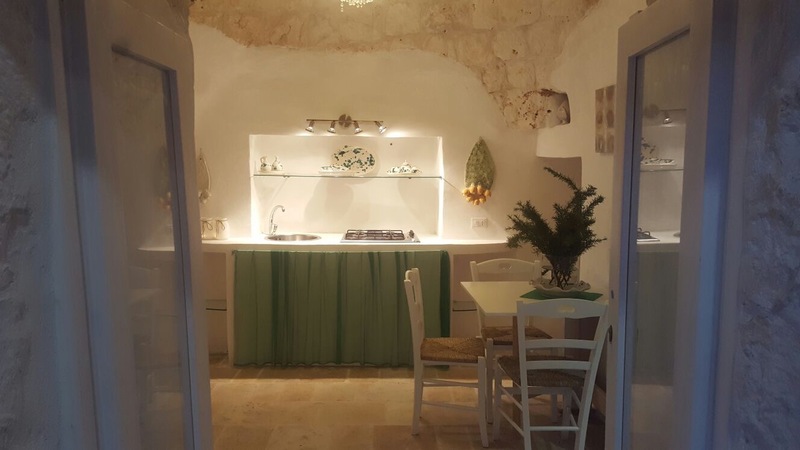 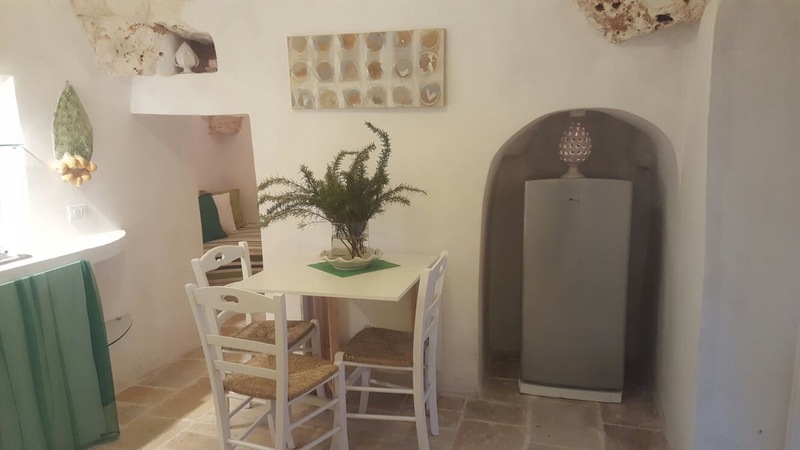 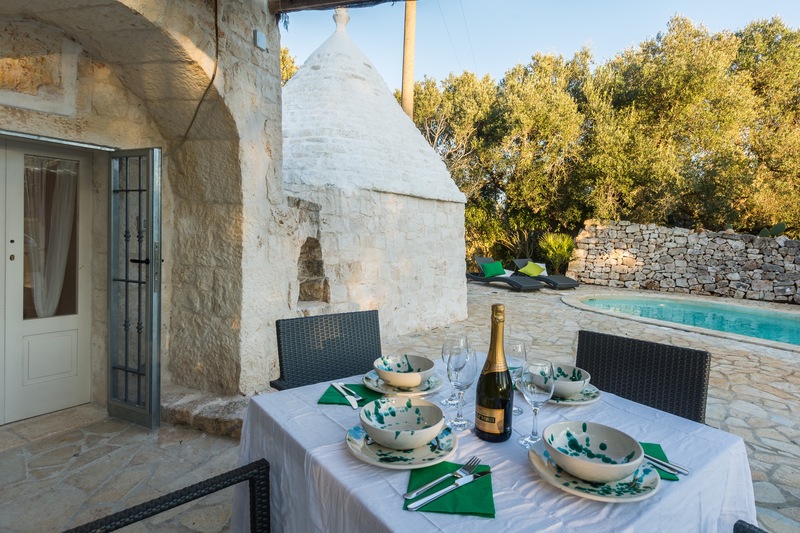 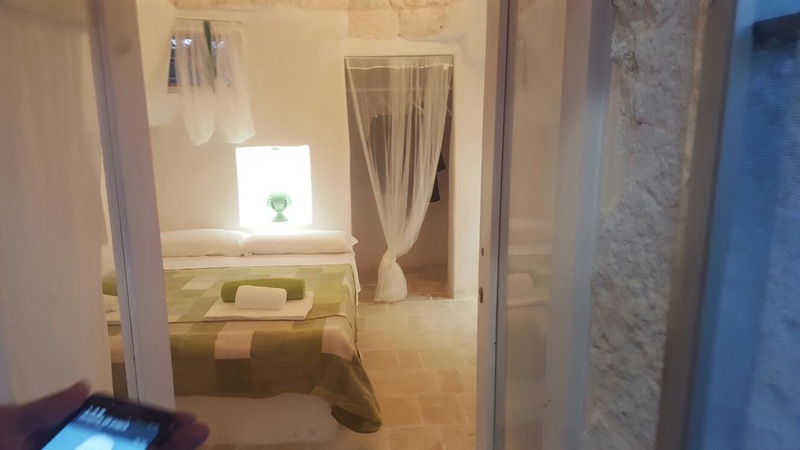 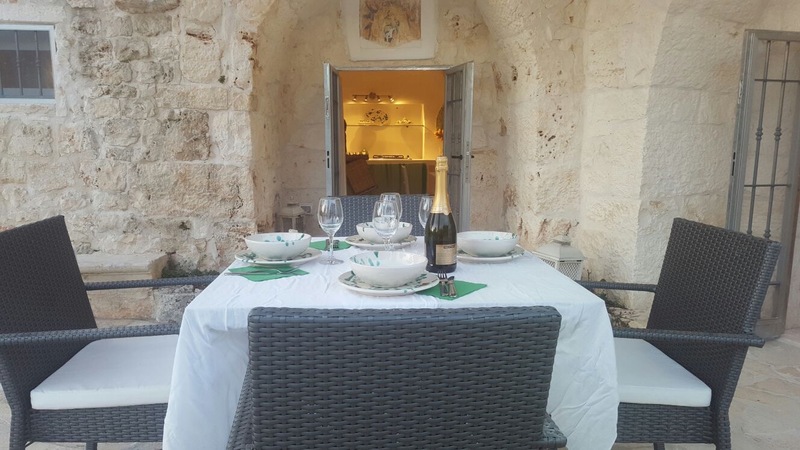 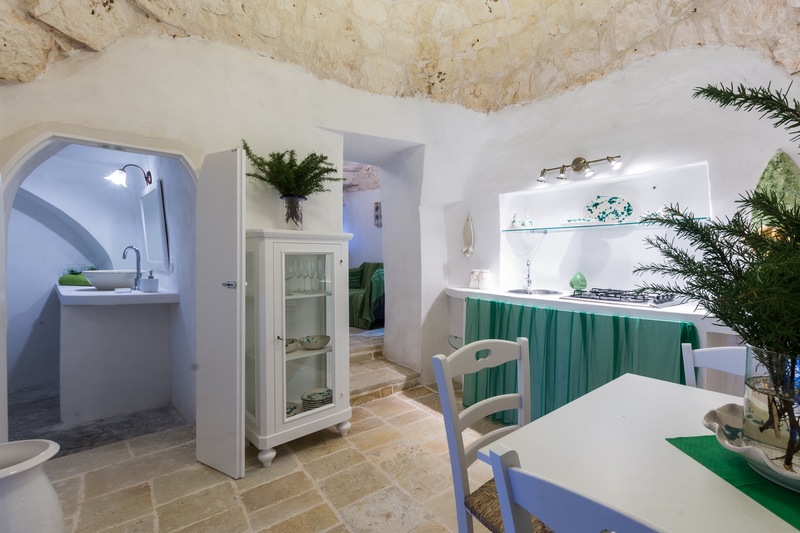 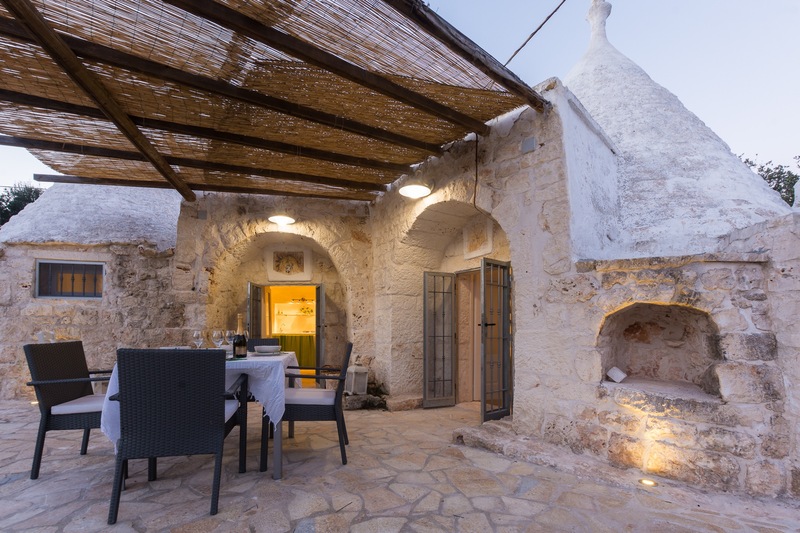 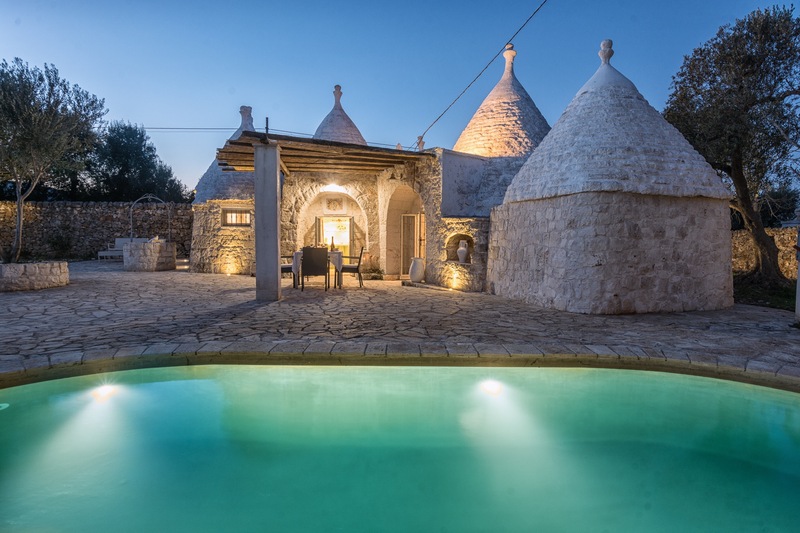 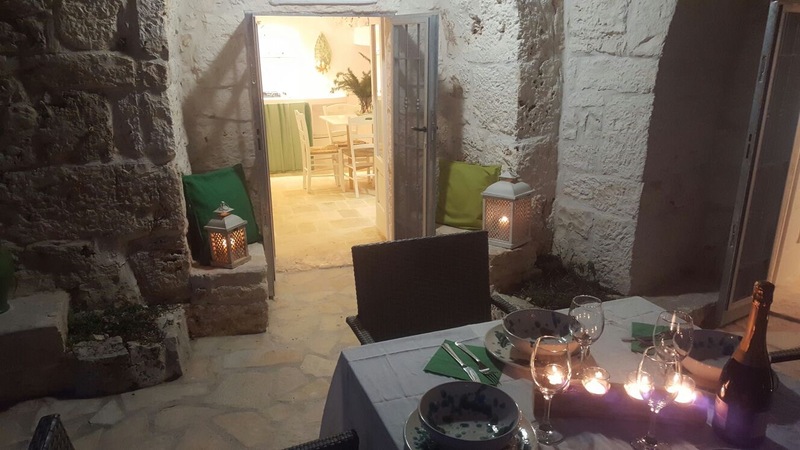 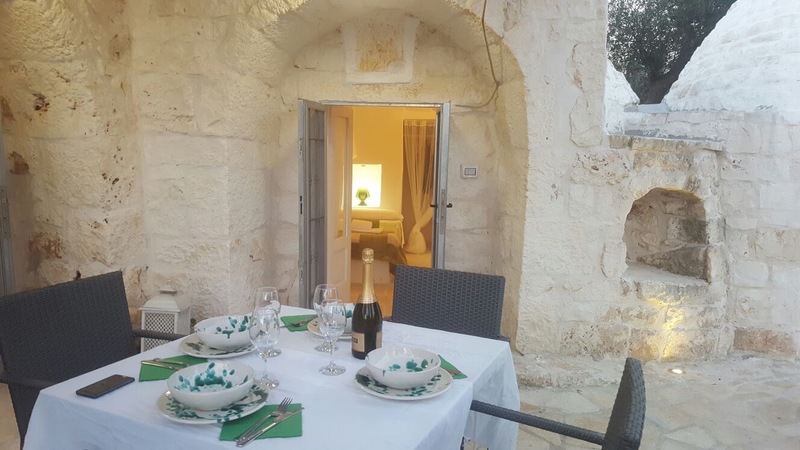 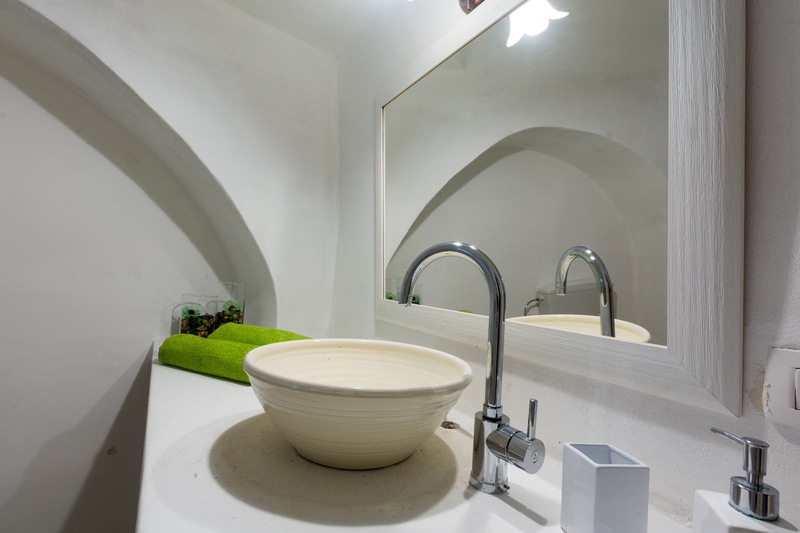 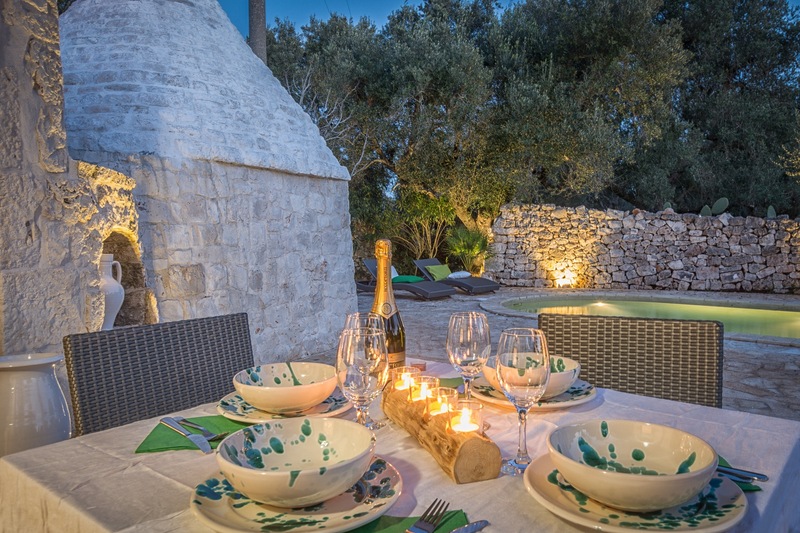 These two separate areas make the trullo a very good choice for two couples even with children thanks to the sofa bed . 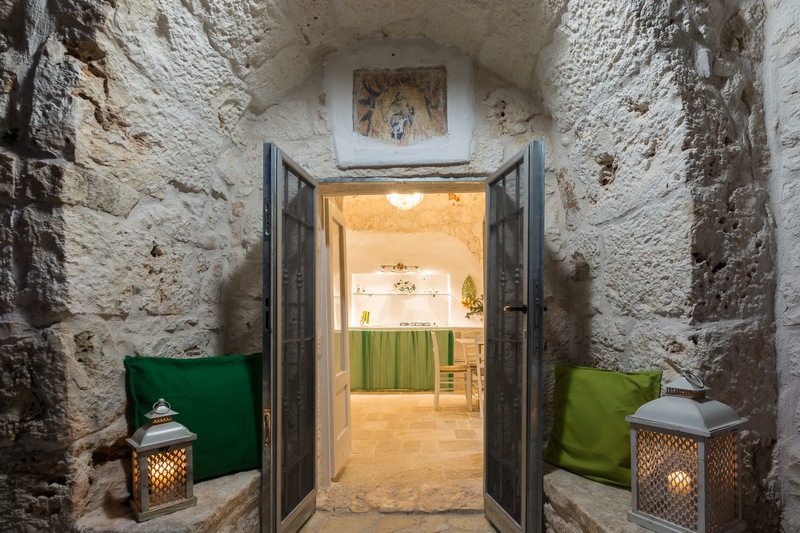 The presence of original religious fresco featuring Saints together with the already mentioned unusual large size of the building make us believe that luxury was already in the mind of the person who built this trullo. 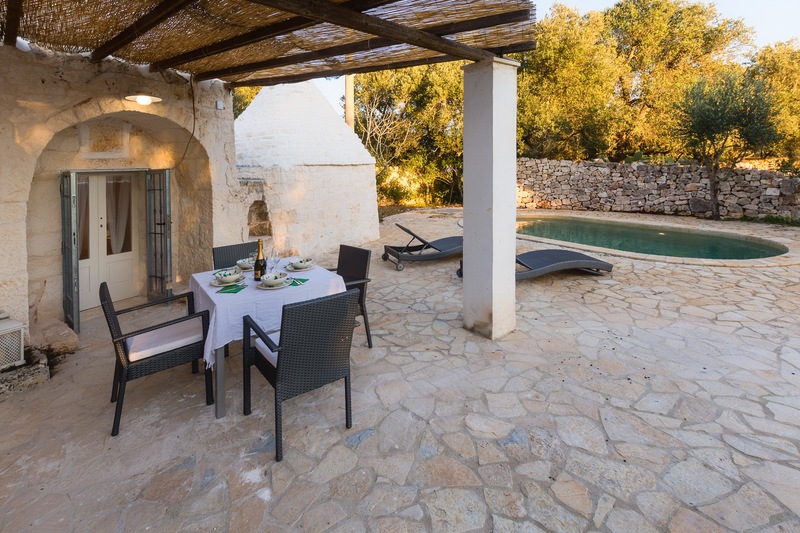 Luxury that today can be appreciated at its best thanks to the presence of all comforts necessary for a perfect holiday. 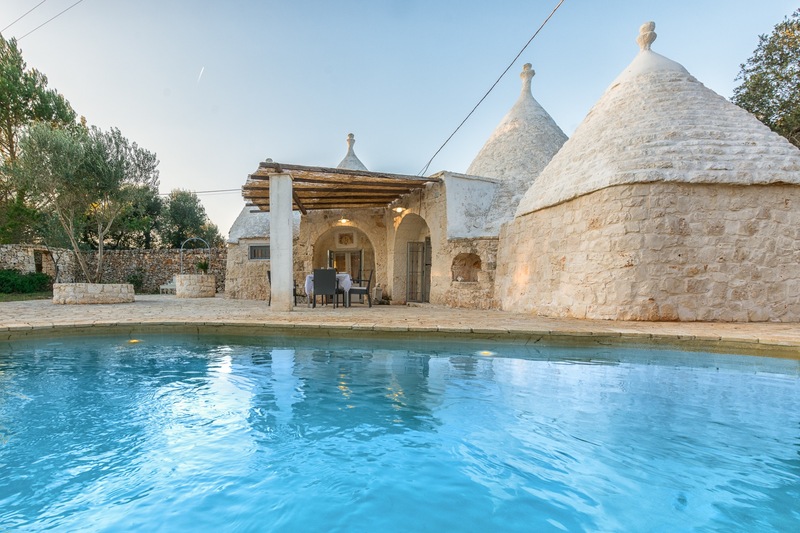 The oval swimming pool has been built on top of the ruins of what probably was a second tiny trullo a satellite of the main one. 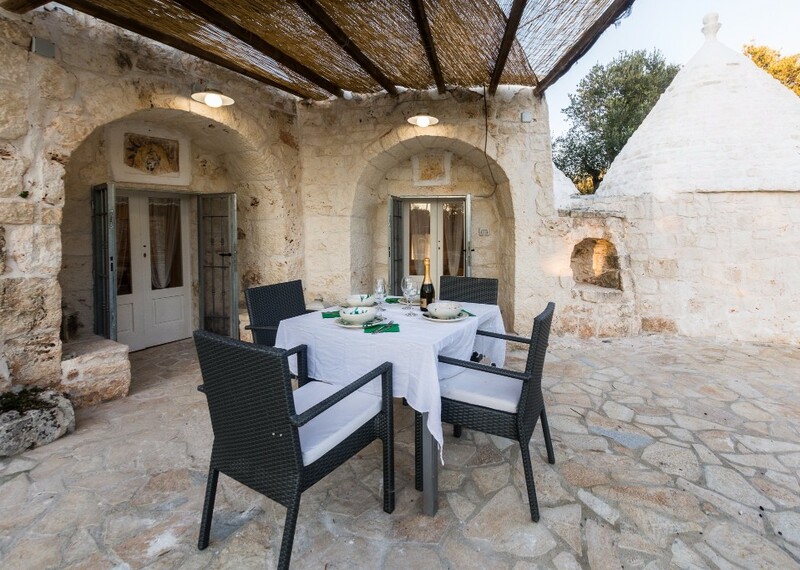 All around you can lose yourself in infinite stretches of olive trees. 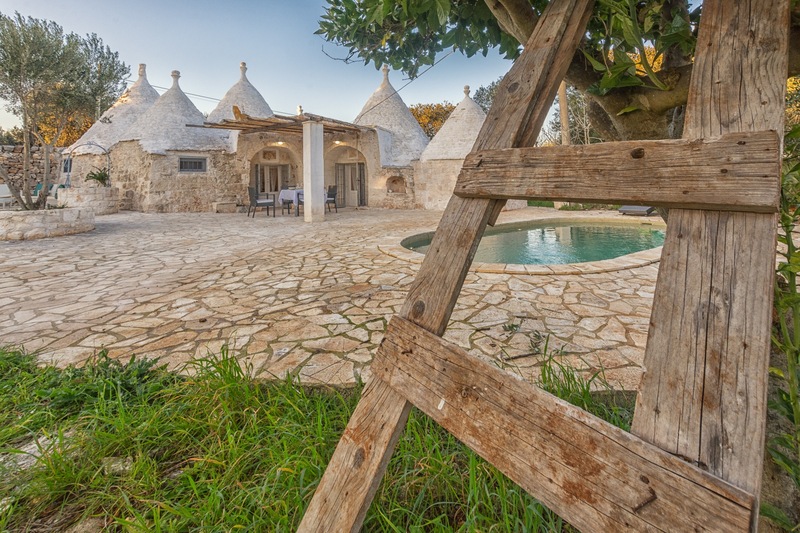 A constant magic presence in Salento together with orange, fig and almond trees.